The periodic atomic table social science WAR casualties are well-known. Let's look at the murder of atomic bio-physics Captain van Zanten and a few hundred other people. The murder was called at accident by scientists and government investigators. Thus we can call the tragic EVENT it an Margaret Mead atomic nuclear family ....... accidental murder SCHEME to collect insurance. The Tenerife airport disaster occurred on Sunday, March 27, 1977, when two Boeing 747 passenger aircraft collided on the runway of Los Rodeos Airport (now known as Tenerife North Airport) on the Spanish island of Tenerife, one of the Canary Islands. With a total of 583 fatalities, the crash is the deadliest accident in aviation history. Before we continue, let's review some concepts. The periodic atomic table has many formats of expression. One such FORMAT format are atomic bio-physics humanoids that breath oxygen atoms ..... in the format of a oxygen molecule. The oxygen atoms have great influence upon human thought and human behavior. Scientists have proven that a a human without oxygen for several minutes can no longer think or behave. That is basic logic founded upon real experience. Below, is part of the atomic table. These elements are important in atomic politics. In year 1968 we had atomic President N (Nixon for Nitrogen LUNG gases). In year 2012 we have atomic President O (Obama for Oxygen atomic mass 16 at location 1600 Pennsylvania Avenue). The atomic elements and their above representative symbols (C, N, O) have a symbol permutation group ( C, O, N) and the atomic humanoid political representatives are known as CONGRESS. Let's look at other atomic social science expressions VIA atomic human OUTPUT display vehicles / messengers .... of O = Oxygen. Let's look at some Margaret Mead atomic nuclear family ...... atomic social anthropology WAR EVENTS .... of the above element of life. the creation of signal processing EVENT ---> The Virginia Tech massacre was a school shooting that took place on April 16, 2007. Virginia Tech massacre --> massacre --> implies atomic mass massacre ..... that is Nature's atomic mass ORDERED the massacre of atomic humanoids with atomic brain perception errors . Thus as William Strunk stated ..... 8 rules ..... 8 is the social power RULER .... the 8 atomic number of oxygen ORDERED .... the RULE ... the periodic atomic table ordered the assassination at Virginia TECH. Message 2 --> oxygen electron shells express themselves in EXTERNAL display format using human messenger vehicles/ carriers with guns that use bullet SHELLS comprised of messenger electron SHELLS. Perhaps, East Coast universities may study atom electron influences and expressions VIA human brain electron thoughts ...... human bio-computer display devices. What is the atomic number and the mass number of oxygen? 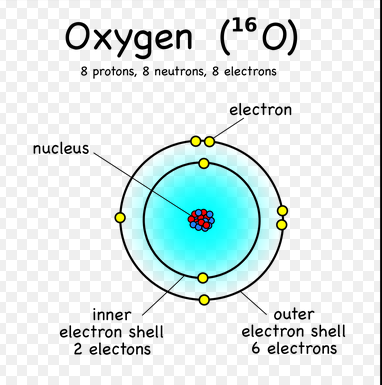 The atomic number of oxygen is 8. The mass number is the sum of neutrons and protons. What are ..
SIGNAL oxygen mass number 16 and atomic number 8. Now, let's look at the Tenerife airport disaster as an ---> ATOMIC expression EVENT. Jacob Louis Veldhuyzen van Zanten (February 5, 1927 – March 27, 1977) was a Dutch aircraft captain and flight instructor. He was the captain of the KLM Royal Dutch Airlines Boeing 747 which was involved in the Tenerife airport disaster. Thus we begin to understand his murder (as an atomic agent) and the murder of over 500 passengers at Tenerife. Let's use atomic English language and its proper nouns for some details of the atomic anthropology TRAGEDY. Name --> Captain van Zanten .... atomic word analysis. The number of protons in an atomic nucleus. atomic number. tensor product of dual spaces is a dual space of tensor product. Proposition. Let k k k be a field and V V V , W W W be vector spaces over k k k .
The duel requires the two combatants ....thus the 2 airplanes and their duel in tensor space on the Canary Islands. and those human people continue to lie and deceive about their atomic heritage. Hence, the additional tragedies of LIES, FALSEHOODS and incomplete explanation reports. Cause and effect ..... and Nature's systems report on information quality VS deliberate ERRORS. Thus we see the omission of many factors in many tragic EVENTS. The KLM tragedy with the accidental murder of Captain van Zanten by citizen /government ... atomic social science policy ERRORS . Insurance investigators ought consider upgrading their perceptions of these Margaret Mead atomic nuclear family .... insurance collection rackets. At least the insurance companies ought sell more options on their LIFE insurance policies ..... death by electromagnetic waves, death by KLM quantum number, ETC. Thus you see pieces of a puzzle and the involvement of various secret manipulation societies at the deeper levels of REALITY. At least it makes life more interesting for the average philosophical citizen.